Henry Moore called 1932 ‘The Year of the Hole’. The fact is that Barbara Hepworth made her first pierced form in 1931, the year she gave birth to her first child. For Hepworth, personal realities had to be mediated and resolved in the body of her work. She believed that art should be gender-free, either the thing is good or it isn’t, but she was acutely aware of differences between the sexes that would affect not only how a work is received, but also how it is made. This essay isn’t a feminist reading of Hepworth’s work – I am suspicious of all theory systems, because art is bigger than theory – but it would be naive to try to rub out Hepworth’s femaleness. She worked from a strong sense of her own body, and had a Romantic feeling for the interpretiveness of the human form in the natural landscape. She is ambitious for truth, but she knows that truth begins in the body. All of her work reveals a deep, untroubled connectedness to the first fact of life – that we are creatures made of breath and clay. When her work has been criticised for lacking Moore’s ‘tumult’, the criticism is distinctly masculine. There is a particular still centre in Hepworth. It is not tumult, but it is focused energy – the still point of the turning world. Perhaps Hepworth had a more complete sense of the hole than Moore. Perhaps that was because she was a woman. For centuries, woman has been described as the absence, as the shadow, as the void, as emptiness, as hole. Man has been the positive, woman the negative. But the scientific developments of Hepworth’s era – Einstein’s theories of relativity, and the work in progress we call quantum mechanics, challenged our understanding of space and matter. Far from a universe of oppositions – like mind and matter, being and nothingness, space and form, emptiness and object – Einstein, Planck and Pauli were picturing a universe in constant play, a creative tension, of which the revealed tangible form was only a part. The atom itself, the supposed building-block of matter, was no longer an object, but an energy – points of light surrounded by empty space. Hepworth made the hole into a connection between different expressions of form, and she made space into its own form. Her version of ‘truth to the materials’ means that space is as much a part of a Hepworth sculpture as mass. We know too, that space is never a straight line; space is curved. Hepworth’s curves intuit this hidden knowledge. We are drawn to her curves because we come from a curved universe, and we find the movement within ourselves, whatever the logic of motorways. Hepworth’s holes are also tunnels or worm-holes making a route through time. Art connects us to the past, not only by reminding us of where we have been, individually and collectively, but by renewing in us the creative energy that all humans share, across time. The hole is a way back and a way forward. The hole is also the space occupied by the air we are breathing now, by the sunlight that has taken eight minutes to reach us, and by the starlight that is two thousand years old. In the space inside, or rather, through, the sculpture, time is both present and meaningless – and that is time’s true nature, it does and it does not exist. This neo-Platonist/Romantic placing of the artist and nature turned radical in Hepworth’s hands. The plastic medium was not just stone or bronze or plaster, it was space itself. By surrounding space with form, form can make visible the invisible. Reality’s lost self, her shadow-sister, is returned. Hepworth’s pierced forms were extraordinary in their prescience. It is worth remembering that she was born in 1903 and that the first piece of sculpture she saw was on a special trip to the Albert Memorial. She hated it. Hepworth broke out of the solid conceits of the 19th century, or rather she broke through them, literally. I sometimes feel that Hepworth’s sculptures are inversions - that the object, however beautiful, is a way of seeing what surrounds it. In front of the solid, blank, unyielding architecture of the building itself stands Hepworth’s curved, shield-like shape, with its vulnerable piercing. Her sculpture has the look of a warrior’s defence - an ancient piece of armour, battle-broken but intact. The hole that marks a place of entry is not defeat, it is experience. It reminds us that there is always a way through; nothing can be kept at bay forever. A rt itself is a peace-keeping force, but its methods are not mandates or sanctions or troops. Art works on our own agitation, calming us when we need calm, confronting us when we become too complacent. This sculpture informs the building and it fulfils its commission, but it goes further, offering an alternative vision. 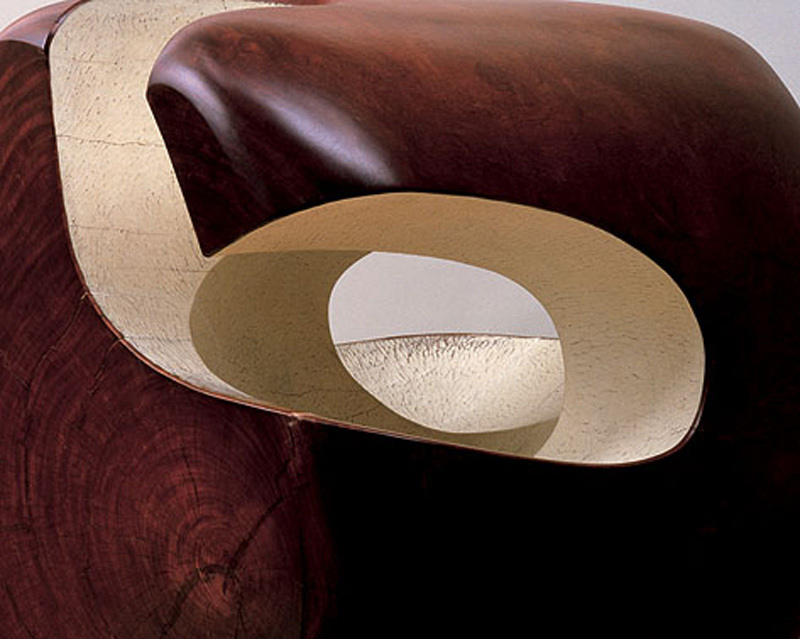 Hepworth does not allow her piece to be decoration or glorification; she lets it be itself. The self it is, is art ‘s message to us - that there are different values, other possibilities. Public sculpture is very difficult. Leaving aside the fact that no artist can please all of the people even some of the time, how do you make a piece of work that is both site-specific and creatively independent? I believe her facility here came out of her passion for life as a whole. She never compartmentalised life and art, and she was certain that art is for everyone. She had none of the Modernist contempt for beauty, nor was she locked in a politics of art that snared the work on a fashionable ideology. She believed that art sustained and continued life at its highest level. For her then, public sculpture was both meditation and mediation. Her work had to find a way between the interests of her sponsors and art’s own concerns, and it had to act as an imaginative focus for everyone who looked at it. Hepworth’s sculptures make space around themselves for us. Her pierced forms turn that space into space-time. Once free from the demands of the clock, we can let our minds float outwards, through the shaped openness she offers, into a place that is not fragmentation. 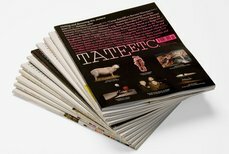 This article was originally published in Tate Magazine issue 5. Article: Who is Barbara Hepworth? Blog: Barbara Hepworth: How to string a sculpture?